While many make the argument that comic book movies need no plot consistency due to the source material’s lack thereof, I say two things; One- you don’t read comics, do you? There are plot devices used over a period of fifty to sixty years sure, but these are two hour movies with millions of dollars put into them. Show some respect! And two- Why are you arguing for lack of consistency, period? These holes are so big you might as well fit another trilogy in them! In any case, I’ve found this mega-hit to be full of plot holes and convenient plot devices that are so obvious, Ben Affleck’s Daredevil could see them.It’s not that they’re all holes but also some questions that would have made the movie more sensible. But what do I know? I liked The Amazing Spider-Man 2! – How did Professor X get back in his own body since it was completely decimated in X-Men: The Last Stand? Sure, he transferred his consciousness to another body, but one that looked exactly like his original self? 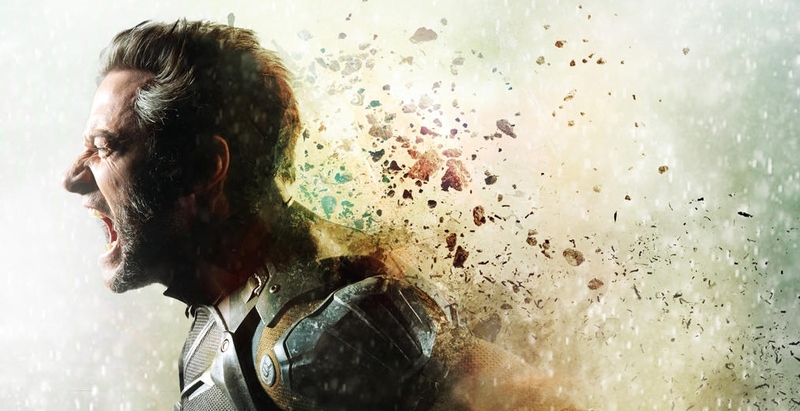 -Since The Wolverine takes place in the present day (presumably 2013, the year it was released) and the ending concludes the film two years after in 2015 (again, presumably), and Days of Future Past takes place in 2023, how long did it take Wolverine, who’s temples are greying with age, to team back up with the other X-Men? I thought he was recruited what would have been nearly a decade earlier? -The previous question comes into effect mostly because it’s Wolverine that suggests going back in time to the past to prevent the future by being overrun with sentinels. Did he only come up with the idea after a decade or did he just join them? Either way, it leaves a gaping hole of logic. -If Kitty can “phase” a mind back days or weeks, but can’t go back any further, why is it impossible for her to phase back even further from the first time she phased back? Everyone else can use their powers in the past, why not her? Would it not be different from going back decades from the year 2023? You’re already officially in the past, why not go further from there? – Wolverine suggests sending himself back in time by asking that if going so far back in time would “snap” a person’s mind, what if a person’s mind could “snap” back? This isn’t explained and makes no sense. Wolverine can heal physical wounds, not regenerate mental strains due to time travel. Once again if that is the case, why didn’t they do this sooner? Why else was he collected for the X-Men’s last stand (Oh!) against the sentinels? -Why does the X-Men team of 2023 keep dying over and over if they can literally go back in the past to see what’s going to happen? How are they ever caught off guard? -How did the future of 2023 get so bad so fast when, we don’t hear anything about any sentinels at any point in the previous movies even though they all take place after 1973 save for X-Men Origins: First Class? It all seemed to have a major effect on the future in this 1973 so why do X-Men films in the 2000s seem so unaware? By the way, isn’t this kind of like how Stryker got permission to invade the school in X2? -Stop me if you’ve heard this one. Why is Bolivar Trask a white midget that created the sentinels in Days of Future Past’s 1973 yet in X-Men: The Last Stand, he’s a black man with no apparent knowledge of sentinels? No, really- why? Just get a younger black dude, why couldn’t they just do that? It was like they just wanted to see how far they could go and still have us ignore it all. -Nixon has a quick mutant scare and decides to publicly declare USA a sentinel country without ever seeing or testing Trask’s sentinels? -Why do Wolverine, Beast and Professor X need to break Magneto out of prison? 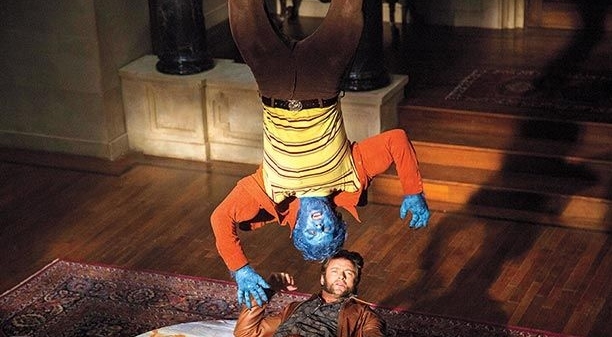 Because he knows where Mystique is? If so, why not just find another telepath? One you won’t have to break out of prison and one that isn’t a murderer and traitor?The Professor had a school of mutants for several years, none of them could have helped? I’m just saying, Magneto is the only one on the planet that could help? -How did Wolverine know where to find Quicksilver? -Quicksilver breaks Magneto out of prison and then stays as the others go to stop Mystique from assassinating Trask. This guy was literally flicking bullets around by using his super speed yet they leave him behind and bring Magneto, who then tries to murder Mystique? Quicksilver is shown at home later, watching TV. So even though he could have done everything for them, they take the guy that creates even more problems. Both Professor X and Beast are meant to be geniuses yet they allowed all of this? -Professor X injects a serum into his arm that heals his damaged spinal cord to allow his legs to work again but suppresses his mental abilities? -We know Magneto is the master of magnetism, and inserting strips of metal into non-metal sentinels makes sense if his plan in the finale were to manually control them or even break them apart, but the railroad metal he puts into these things completely rewires them and has him vocally controlling them? -Why can’t old magneto control the sentinels? There’s really no part of these things that are metal? Even when they replicate metal? How do they replicate elements? I’m having a hard time understanding future technology. -What was the point of Wolverine punching Beast in the face when they first meet? -With the quick “My mom knew a guy like that once” that Quicksilver gives to Magneto, we’re given the subtle nod to the comics that Magneto is Quicksilver’s dad. Magneto even reacts with a slight expression of recognition. So after the Holocaust, during the 1950s when Quicksilver is to be born, Magneto went to America to knock up an American woman and then head back to Europe to continue killing Nazis? -It seemed to have taken Mystique a good fifteen minutes to pull her gun in the presidential safehouse, from the time she put her hand on the gun to the time she was spotted by Trask’s mutant detector (A second time). -Due to the ending, because of what Wolverine does in the past, does this render all other X-Men movies other than First Class nonexistent? Because that means the first three X-Men and two Wolverine movies never happened. That’s like the five-movie equivalent of “What a crazy dream!” If this is meant to be the case, refer here. You can’t drink this away, Logan. Part of the problem with these films is not that they’re “unrealistic” so much as it is taking themselves so seriously without even bothering to make sense of their own plots. If a kid dresses themselves, you don’t need the kid to properly wear a three-piece suit but dang kid, at least put your pants on right. This entry was posted on 05/27/2014 at 5:04 am and is filed under Whatever with tags bryan singer, days of future past, plot devices, plot holes, spoilers, timeline, wolverine, x men movies. You can follow any responses to this entry through the RSS 2.0 feed. You can leave a response, or trackback from your own site. I din’t get the life of wolverine. when did he actually meet striker. Days of future past shows striker taking over wolverine when he drowned. more I think d more I lose interest in my beloved xmen series. I thought something similar. But X-Men movie fans will tell you that you NOT knowing means the movie was better because you can come up with your own answer. To me, certain lines and scenes should leave you with interesting questions, not a third of the plot. Wow…. A good majority of your questions could be answered…if you watched the movie!! A good deal of them are blatantly explained. Others can be figured out pretty easily with a LITTLE thought! A few are legit, though. Funny how that works. The post title is ‘Queries and Problems’ and I keep being told there are answers for these through email yet I see none of those answers here. Maybe you can do the thinking for Singer’s plot holes and fill in the gaps. I’ve actually come up with more issues since this post but haven’t bothered writing them. Please! By all means, answer these questions! I’m dying for the answers! Tell us!